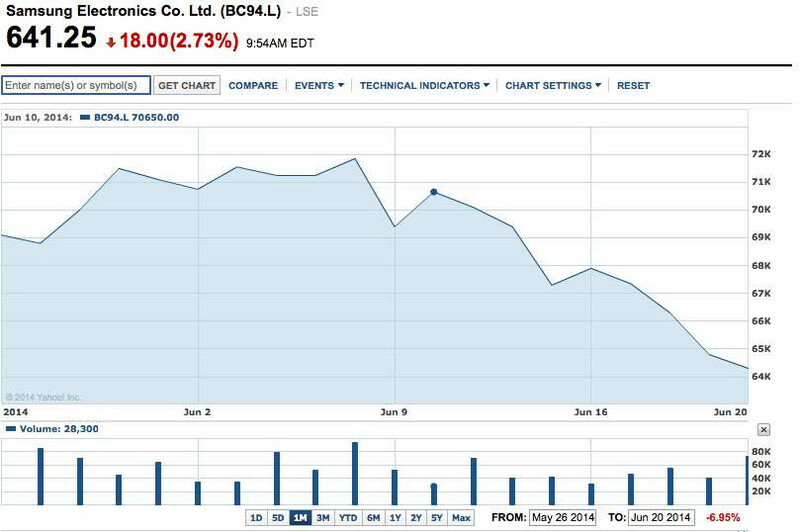 Samsung's CFO says the financial outcome for Q2 is not good, Galaxy S5 and mid-to-low range phones to blame? Samsung's chief financial officer, Lee Sang-hoon, warned the company's investors that the financial situation during the financial Q2 of the year doesn't look “too good”, as profits are expected to go down. 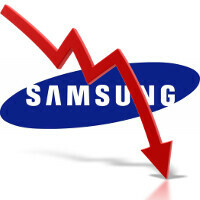 As a result, Samsung's stock price fell roughly 2% to $1,296.4 (1,320,000 KRW). Previous forecasts have already caused Samsung's shares to dwindle 8.5% down during the last month, and the CFO's statement added even more fuel to the fire. The reason for this unfortunate financial situation? Well, it seems that the culprit might be no other than the Galaxy S5 flagship and its sales. Despite the numerous reports that the Samsung Galaxy S5 is selling pretty well both at home and in the US, the fierce competition from the likes of Sony, HTC, and LG has allegedly already undercut the sales of the latest Galaxy, thus decreasing Samsung's income. Additionally, KTB Investment & Securities, a Korean financial institution, blamed the company's expected not-so-great financial outcome mostly on weak demand for its low-end and mid-range devices. It is predicted that Samsung might report year-over-year drop of its operating profits of roughly 16% and a general decrease of shipments by 12.5% - from 88 million to about 77 million units. These expectations already stray away from initial expert predictions that Samsung will ship more than 90 million units during Q2. Samsung already experienced a slight loss of global market share during the first quarter of the year. The manufacturer's due to release its financial report for the financial Q2 of 2014 sometime in the beginning of July. Uh oh. Is this the start of a trend? They need to change the design anyhow and somewhat prices too. I agree about design but what's wrong with prices? Now-a-days flagships are bit pricey. This could be one of the reason for blaming S5 sales otherwise nothing is wrong with S5 except design. "Now-a-days flagships are bit pricey." Agree they are pricey but talking about Samsung's flagships they has +/- the same price as any other flagship (at least here in Europe). noobs-haters got their way samsung made isocell, improved amoled, on of best battery life and speed, wateproof. others did nothing, except that the speakers for kids, gimmick qhd, which only harm. On the contrary worsened, htc removed OIS, Sony made ​​the screen red and distorting oversaturated colors, and worsened the sound in the headphones, LG made ​​qhd and twisted sharpness because of what the image will halo. its whats we all told them when they annouced this crap no one will buy it. a stupid heart rate monitor and no real tech updates and ugly as hell. Their flagships are great but their mid/low rangers are crap nowadays. And also the design. you're wrong because they are all the same!!!! same! same! same! that's why they find samsung boring! Totally agree. Lg sony and htc have better specs in their mid range phone than samsung. In my country at the time of launch s5 was priced at $833. Now it is selling at $600...!! The price cut was due to low sales. But samsung officials said it wasnt true. Well now i guess that it was actually true..
Why would anyone pay $833 for a freakin phone??? I can get a 60 in flat screen TV for $600!! Youre on the top, only one place to go is to go down. Simply put, just as with apple and the iPhone, it's time for Samsung to revamp the galaxy. Absolute great device line, but the looks are bland, although pretty, and the features are nice but not a huge leap. Not much of a jump, between s4 to s5. Apple and Samsung are in very good shape, but we all know, both could blow the kid off, if the really wanted too.